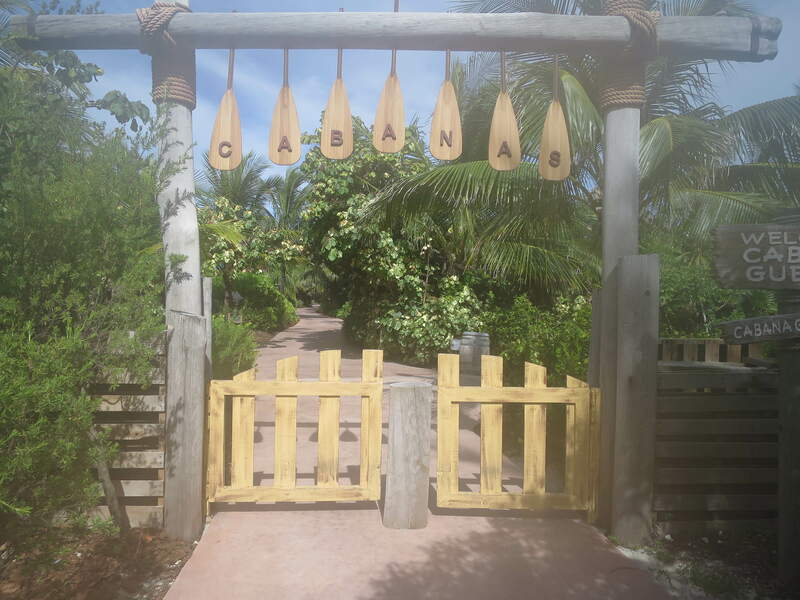 Renting a priviate cabana while at Disney’s Castaway Cay is the perfect option if you want personalized service, privacy, a private beach and much more! 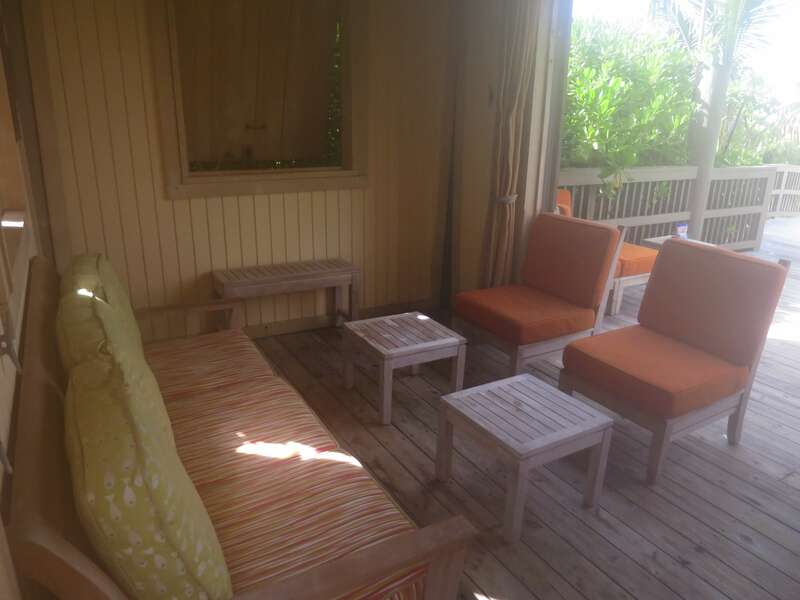 Privacy: Walk through the cabana and enjoy a private family beach away from other cruise guests. 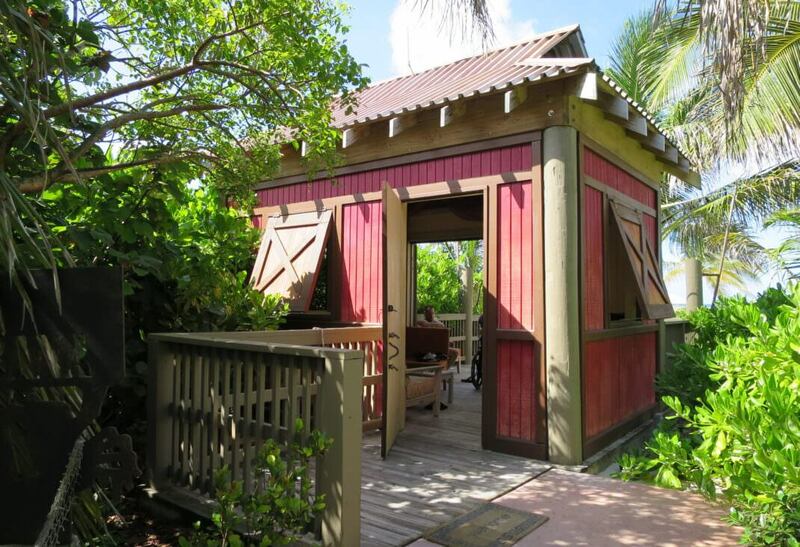 With beautiful island trees and plants offering even more privacy, it truly feels like you are on your own island while in the cabana. 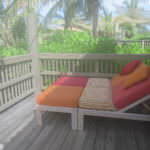 Rental equipment is included: Snorkel gear, floats, and bike rentals are included when you rent a cabana. The floats are located on the beach right outside the cabanas for your convince. Snorkel gear and bikes are a short walking distance from the cabana entrance. Food & Drinks: Snacks, water, soda, and fresh fruit are waiting for you when you arrive. You can request more of these items at any time. You can even press a button and someone will come and take your drink orders and serve them to you on the beach! Regular bar prices apply. Disney serves a buffet style lunch for all the guests which you can bring back to your cabana to enjoy. 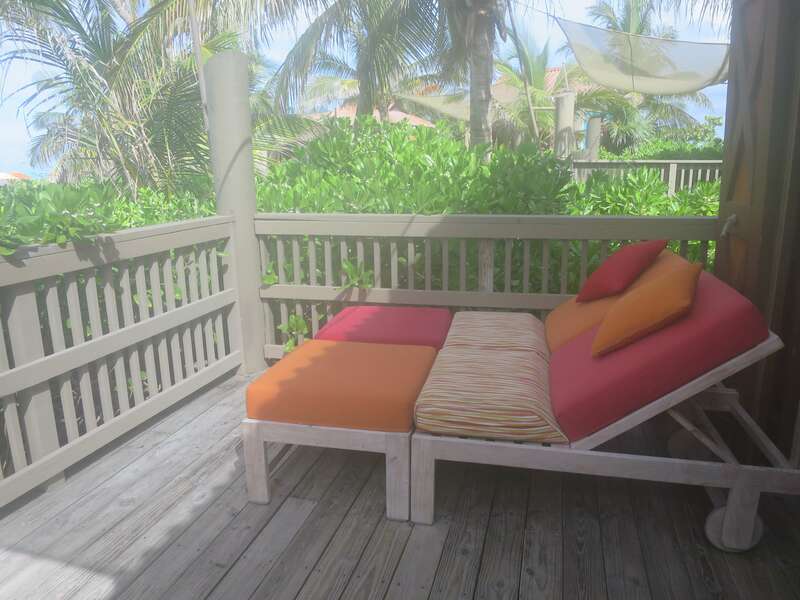 Chairs & Hammock: The cabanas are furnished with cushioned chairs, a couch, and chaise lounges for you to relax on. 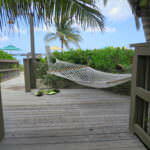 There is also a hammock outside where you can enjoy the island atmosphere while you relax. 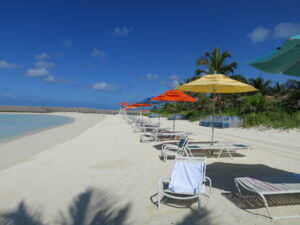 The beach has regular beach chairs as well as lounge chairs for you to enjoy. You can even bring them into the water when the tide is low. Umbrellas are also set up for added sun protection. Extras: All cabanas come with complimentary sunscreen, beach toys for the little ones, a safe to keep valuables in, upgrade plush towels, and a fresh water shower to rinse off the sand. 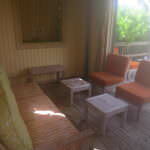 There is also a changing area in the cabana for added privacy. You can control the type of music you want to relax to as well with an on wall control panel.